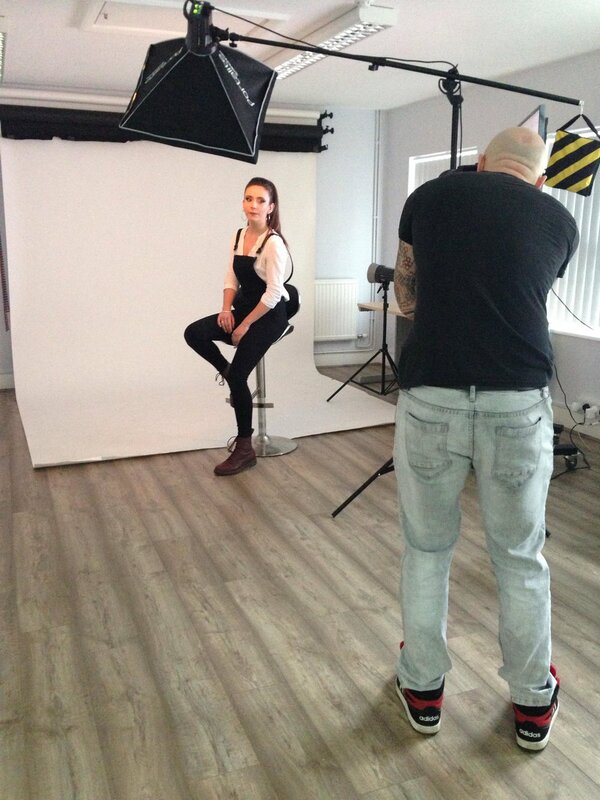 Today I had the pleasure of welcoming Louella and her MUA friend Tess to the studio in Dursley. The plan was to shoot two looks; one smokey makeup/black and white and the other some vivid colour beauty shots. I also was lucky enough to borrow the fantastic Sony A7RIII with the 85mm f1.4! Before the shoot I sourced a cool headpiece from a local charity shop that cost £4 and decided that I'd shoot some Hollywood lighting styled portraits using a combination of hard light sources to light both the model and the background. For the second half of the shoot, we gradually built up a colourful makeup palette using a three light clamshell lighting setup to produce some beautiful soft beauty lighting. The shoot was a lot of fun and I'm looking forward to sharing the results soon!